May 15: 5 POWER Lessons From 5 Leaders Who Made History On This DAY! Here are some of the best lessons from those great leaders from our history, who have been the reason to contribute greatly to the world, in various aspects, fearlessly facing every challenge that came their way, repeatedly proving themselves to be the best of best through every action and leaving an unforgettable legacy. Always remember that constant and regular acts establish consistency. Never fail to convert your action plan into action which has to be practiced and never miss to practice your practices consistently. Only a practice can deliver the suitable effect and fulfill your purpose of doing it. Irregularity causes inconsistency and inconsistency may hide a lot of opportunities from you. Take care about holding onto creating a rule for yourself to not just complete the implementation of your lesson but to check if the implementation is done continuous at regular time intervals. Imagine you rocked at a particular show. You gain more encouragement and energy and win that show as well. Everything will go smoothly until your confidence turns into over-confidence, dedication deteriorates and nature of responsibility fades. This time, you will not win the show. So now is when it gets tougher to face life. One defeat or losing once is sufficient to end positive impact which was created by your consistent victories. The mistake which was done here was that practicing rigorously was not made a practice; time management wasn’t made a practice. See how important practicing the practices is. Paul Anthony Samuelson believed in consistency and made winning, his practice. 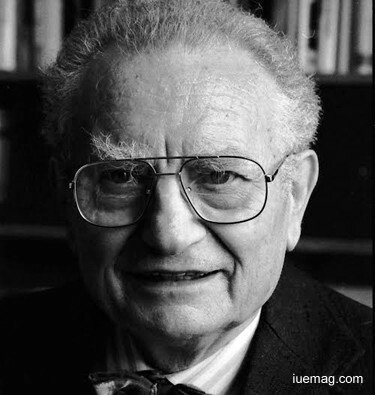 the American economist was the first American to win the Nobel Memorial Prize in Economic Sciences. He is remembered for his influential efforts to raise the level of scientific analysis in economic theory. Called the Father of Modern Economics, he actively dedicated himself to developments and contributions; he significantly involved himself in mathematical foundations of economics through his several books. Simply living isn’t something great. How you live is what makes it great. When a poor kid gets full-fledged breakfast, lunch and dinner all day, ‘heaven is right here’ is the feeling that the kid gets. The kid without thinking much concludes saying ‘this is life and I am in love with it.’ But is this the real satisfaction? For the poor kid, life rocks when he/she gets an opportunity to fill its stomach with delicacies but how long do these worldly comforts help relish the actual feel of life? The true happiness is when you look beyond the comforts which you see. Life is contented when you understand that life starts at the end of comfort zone. You can live and lead your life when you create a path towards the divine victory, concentrate on how to journey and reach your destiny; devise methods to let peace and joy stay with you forever. 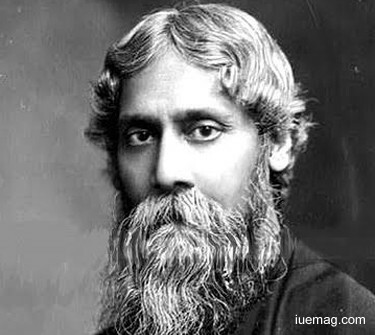 The thoughts of Debendranath Tagore made him different from the rest in the society. The Hindu philosopher and religious reformer realized where exactly the true sanctity dwelled and walked in its way to achieve it. He was active in the BrahmoSamaj. He became predominant to reform the objectives of the Samaj when it deviated from it. It was his trusted deeds which re-established goodness in the society. Life alone is not a reflection; your deeds, mentality, thoughts and progress also act as mirrors. When you cry in front of a mirror, do you ever see your reflection smiling? The reality is just the same! When you feed yourself with positivity, truth and hope, you further feed the world with progress, optimism and facts. Your attempts filled with efforts, hard work, contemplation, spirit, energy, hope and truth then nothing can stop you from receiving mesmerizing results which you’ve dreamt of. At the same time, if your efforts and deeds are filled with negatives, ruining thoughts, downgrading attitudes and discouraged feelings, naturally you will not experience the real sense of contentment and satisfaction of success. Nature itself follows the rule of reaping what is sowed; if you sow constructive thoughts and change-bringing efforts into your work, then you will surely reap success- a star which every life craves for. 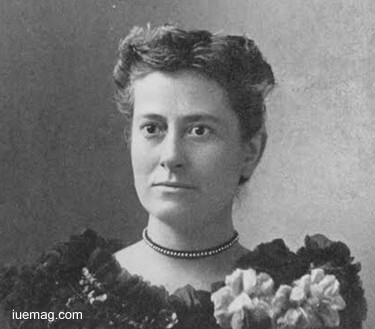 Williamina Fleming consciously studied what inputs would fetch her what. She was determined in establishing success by giving all that was required to succeed. The Scottish-born American astronomer developed her career by coming up with a common designation system for stars. She also cataloged thousands of stars and other astronomical phenomena. 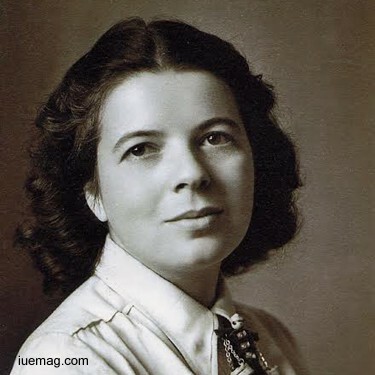 Pioneering the classification of stellar spectra, she appended wonderful and respectable contributions to the domain. She was made Curator of Astronomical Photographs. She was the first American woman to become an honored member of the Royal Astronomical Society of London. Just waiting may not fetch you what you want but waiting with a hard strive, soft diligence, forwarding thoughts and meaningful efforts certainly stands effective in bringing your desires to your life. Things happen according to what the nature has planned. Nothing fruitful comes into picture when this plan is overridden. Only after passing through all life stages, a cute and pretty butterfly is born; rocks take millions of years to weather and form soil; a beautiful flower is given rise only by the different stages of plantation- right from seeding till budding. This is how nature is planned- a systematic sequence led by the action of reality. Remember, only when you go through all the quests which your journey raises, only after facing and clearing them all, and after taking every turn that comes in your way, you will get a chance to relish the essence of your destiny. Hilda Bernstein, a very courageous and determined gentle lady was a British-born author, artist, and an activist against apartheid and for women's rights. Executing the meaning ‘born to fulfill life’s purpose,’ she started very early at the age of 18 by actively participating in politics. She played prominent roles in the struggle to end evils and evil practices. She served to the fullest founding the Federation of South African Women - the first non-racial women's organization. We have just one life and thus, we would want to live it to the fullest, win it to the fullest and enjoy to the fullest. We frame our lives by giving it different shades just to touch the feel of completeness. Life is complete when we taste everything that makes it. During the course of this process, we plan many ways, learn from many and build numerous dreams to achieve the fruit of success. But always remember, we end up getting confused when we try to follow all the plans made. You know what you want and only you can decide the best feasible plan that makes your journey a worthy one. Before starting your journey, before making any move and before taking the step to act, ensure you’ve got sufficient guidance, lessons and ideas. You can consult many people, but never forget that you got to follow the best guide or a mentor or a teacher. Implementing lessons from different perspectives will help you move forward. Now is the time to channelize your dreams. Dream and aim that one thing that helps you attain success. Clarence Edward Dutton was very clear about what he wanted in life and acted accordingly. The American geologist and US Army officer knew when to take which turn in order to make his journey a fruitful one. 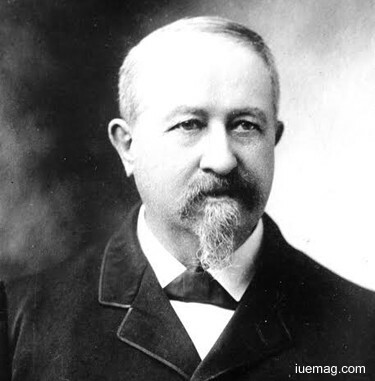 He started as a geologist for the U.S. Geological Survey and wrote several classic papers, including geological studies of the high plateaus of Utah, and more. He was an elected member of the National Academy of Sciences which completed his dedicated efforts. We hardly remember our ancestors’ names. After you leave the world, the future generations of your family also may not remember you. But your profound achievements and successful life certainly becomes the reason for the entire world to remember your deeds. Dear reader, life is about achieving and appending success. So, start living the truly successful life and never stop. Any facts, figures or references stated here are made by the author & don't reflect the endorsement of iU at all times unless otherwise drafted by official staff at iU. This article was first published here on 15th May 2017.